In addition to all of the new security & collaboration enhancements introduced in MDaemon 17.5, our latest release of Outlook Connector adds additional control for administrators as well as configuration reporting for end users. With the wide variety of Outlook add-ins that users can install, one common challenge is making sure these add-ins don’t negatively impact Outlook performance. 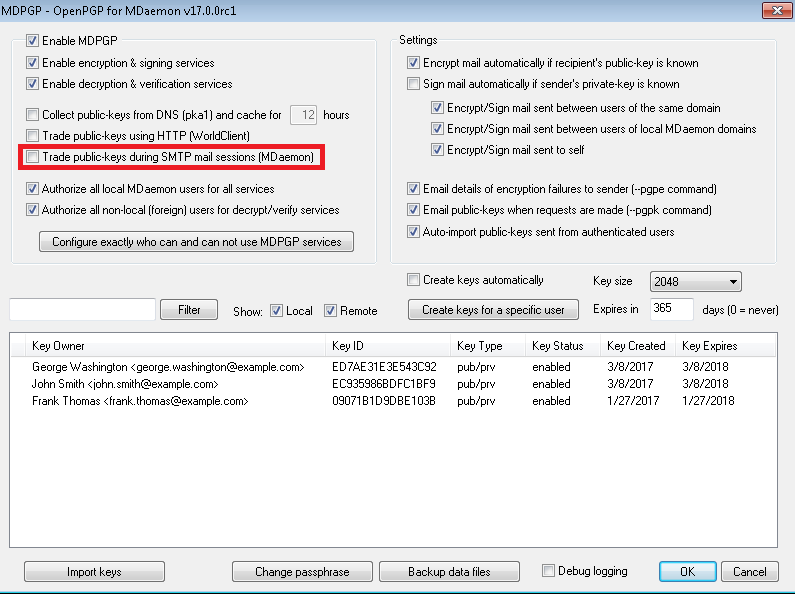 Beginning with MDaemon 17.5 and Outlook Connector 5.0, administrators can control which add-ins are enabled or disabled on client machines. In addition to these major updates, we’ve included various minor fixes & enhancements. More information can be found in the release notes, or if you can download our free trial to start using Outlook Connector today! Note: July 27 – A fix to Outlook that was caused by the Windows Creators Update is now available by upgrading to most current version of OutlookConnector – version 4.5.1. Click here to download the update. The Creators Update for Microsoft Windows 10 has introduced various technical issues. One of the issues is that it may cause Outlook to become unstable when Outlook Connector is used. The issues with Outlook are not isolated to Alt-N products. Our technical team is working to find a solution to address the issues as soon as possible. Customers using Outlook Connector with the Windows 10 Creators Update are affected. After installing the Creators Update, Outlook may, under some circumstances, crash or stop working. We have also had reports of searches not returning results. There are a number of workarounds available but the only solution at this time is to uninstall the Windows Creators Update and install the Windows 10 Anniversary Update (version 1607). Using older versions of the Windows operating system can put your system at risk; please use caution. How do I install the Microsoft update – version 1607? Additional information, including updates & fixes, will be published to the following knowledge base article, so check back often for the latest updates. Questions? Let us know via the Comments section below, or click here to if you need additional support. With the recent release of Outlook Connector 4.0, I wanted to review with you some guidelines for improving the performance of Outlook Connector. Outlook’s performance is affected by many things, including the amount of data it has to keep track of, any add-ons that are installed, how often it checks for new mail, and various other factors. The following guidelines will help ensure you get the best performance out of Outlook when using Outlook Connector. 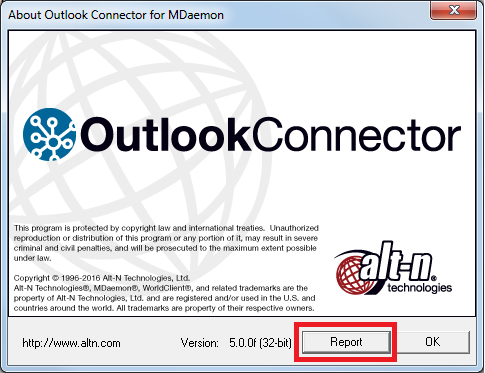 With each new version of Outlook Connector, various performance enhancements are made, thus, we recommend using the latest version of Outlook Connector on the MDaemon server and the latest Outlook Connector plug-in on each client. On the MDaemon server, you can check the version of Outlook Connector that’s installed by navigating to Help – View the release notes for your version of Outlook Connector. 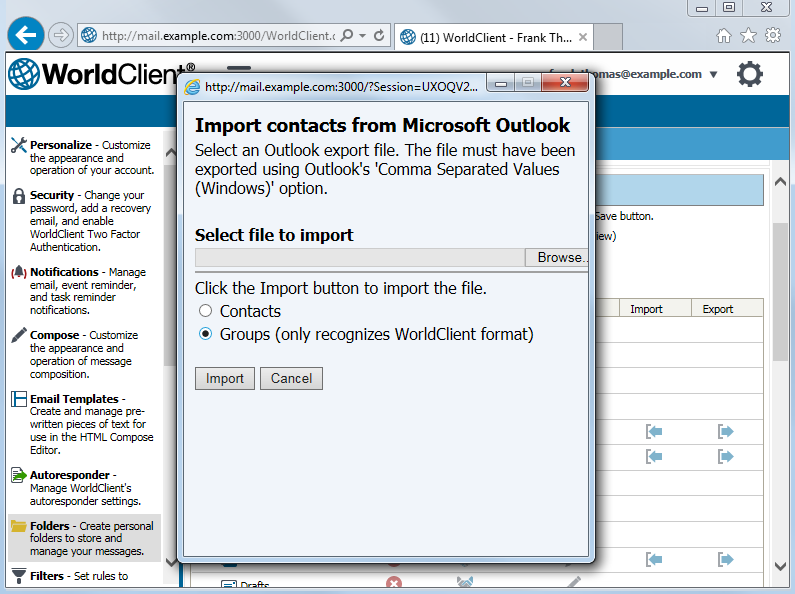 Users can verify their version of the Outlook Connector plug-in by clicking on the “About” tab on the Outlook Connector toolbar in Outlook. 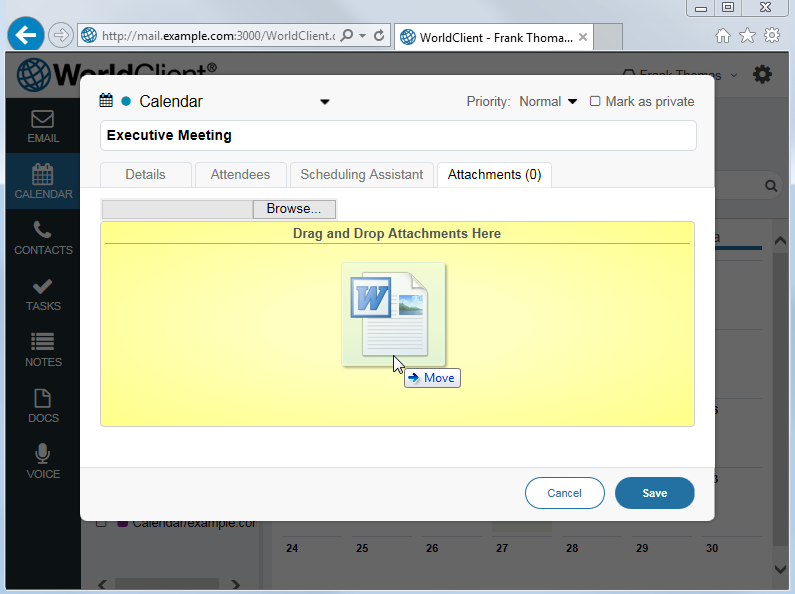 Click here to download the latest version of Outlook Connector. On this page, click on the “Download Now” button to download Outlook Connector on the server. 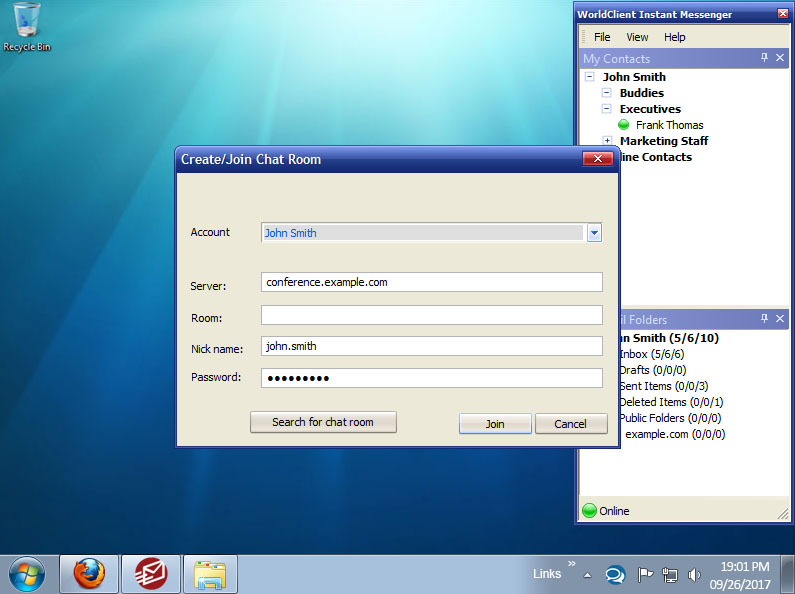 There are also links to download the 32-bit and 64-bit versions of the Outlook Connector client. 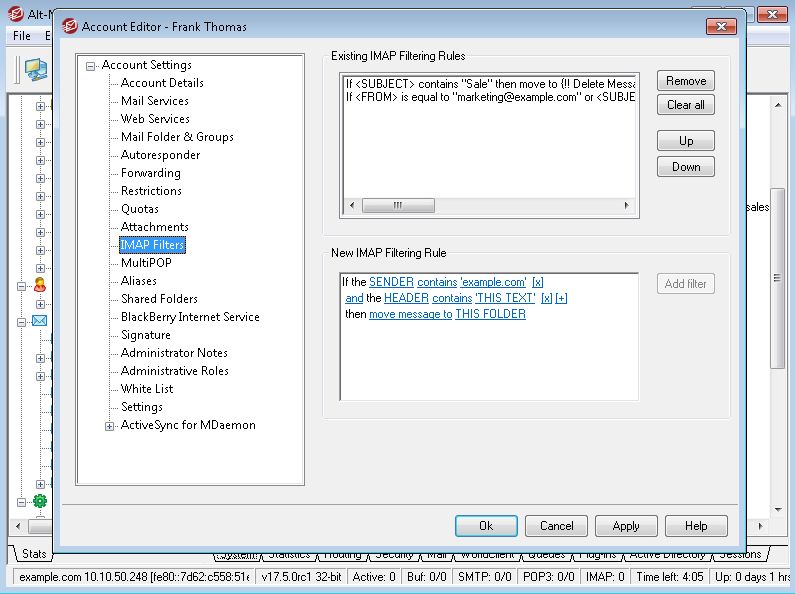 We recommend using Outlook Connector with MDaemon 14 and above. 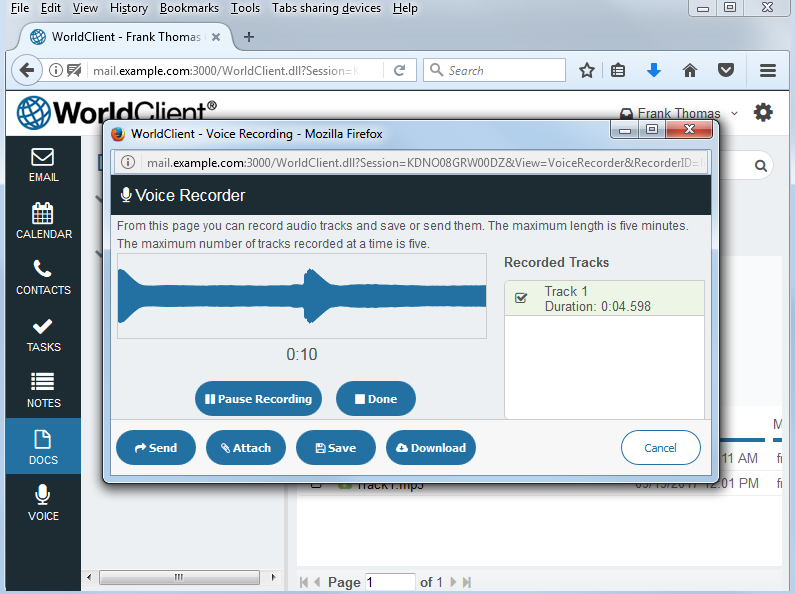 Newer versions of MDaemon also have various performance enhancements. You can get the latest version of MDaemon here. We recommend disabling all Outlook Add-ins except the Outlook Connector plug-in. In Outlook 2016, 2013 & 2010, add-ins are located under File – Add-ins. 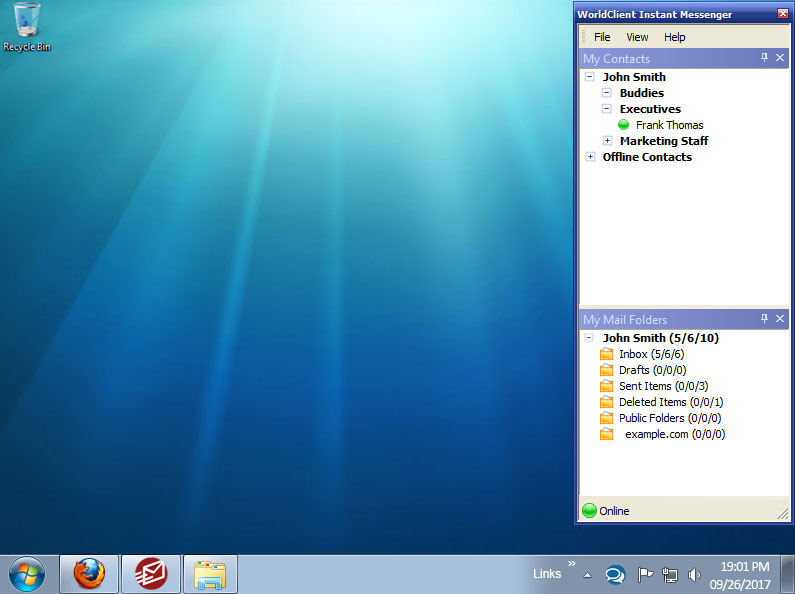 In Outlook 2007, they’re located under Tools – Trust Center – Add-ins. Regular defragmentation of the MDaemon server’s hard disk is recommended. Server performance can be further improved by reducing the amount of logging MDaemon is doing (Setup – Server Settings – Logging – Settings) along with moving the Logs folder and User, Public and Queues folders to a physically separate disk. 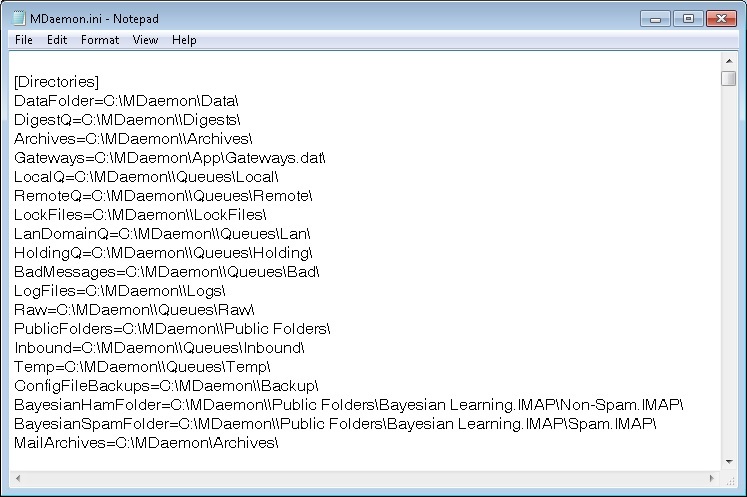 When moving logs, queues, or public folders to a separate drive, simply map a drive letter to the drive, then update the Directories section of the MDaemon.lni file (located in the MDaemon/App directory) with the new path to these directories. Where MDaemon stores mail, queues, logs, etc. The local Outlook Connector cache file should be excluded from real-time scanning by third party desktop antivirus applications. 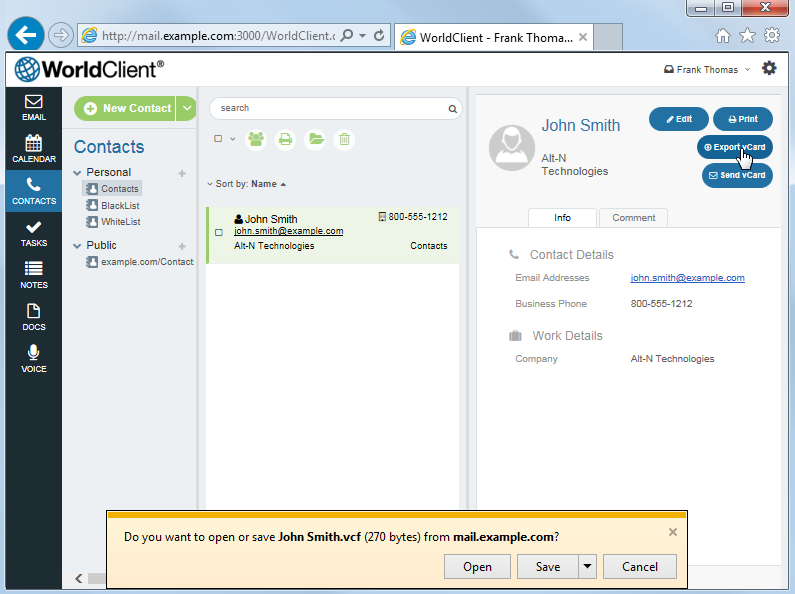 By default, the local Outlook Connector cache is located at C:/Documents and Settings/-username-/Application Data/Alt-N/ Outlook Connector 4.x/ProfileName/account-name/User’sEmail@YourCompany.com. 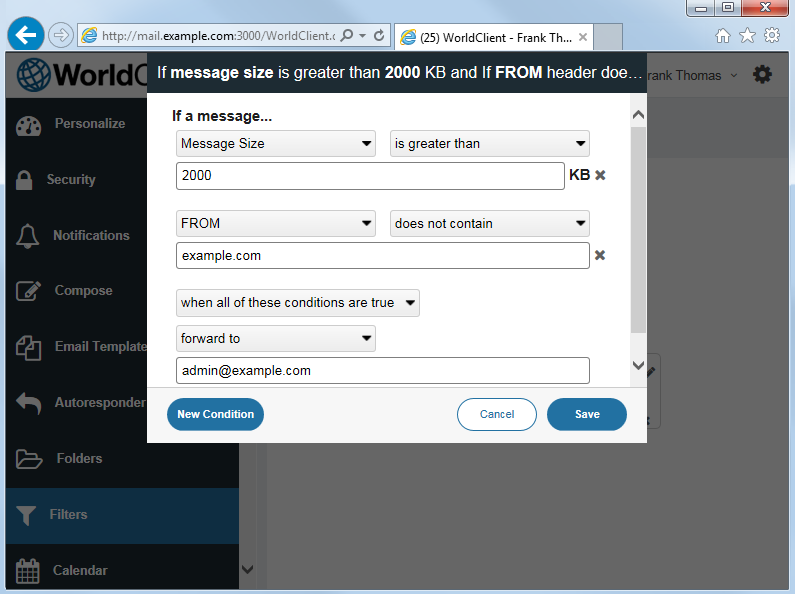 Outlook should only be configured to use HTML or Plain Text format for sending emails. Depending on the version of Outlook you are using, these settings can usually be found via Tools – Options – Mail Format tab. 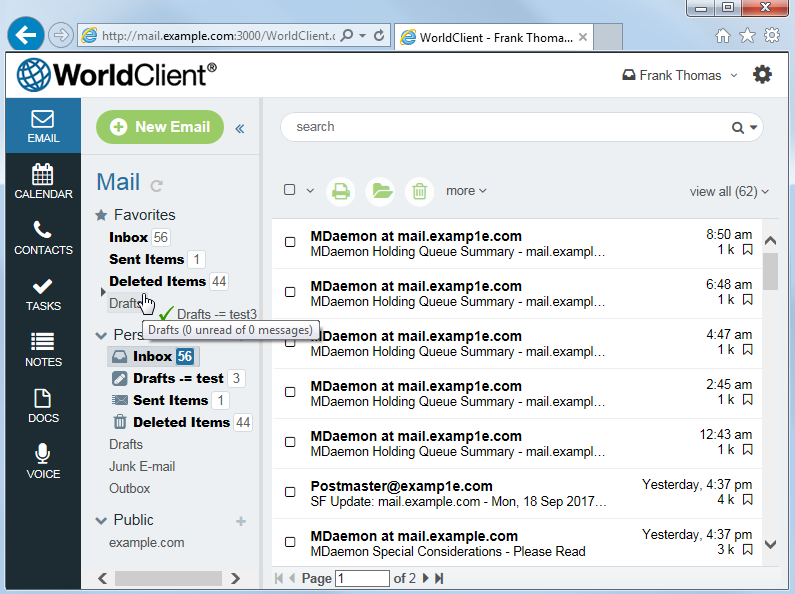 Outlook should not be configured to use Word as its email editor or to use Rich Text Format (RTF). Both of these methods result in emails which do not adhere to Internet standards. We recommend configuring Outlook Connector’s Send/Receive tab (located under the Account button in the Outlook Connector toolbar) to only check the Inbox folder for new items at each Outlook send/receive interval. 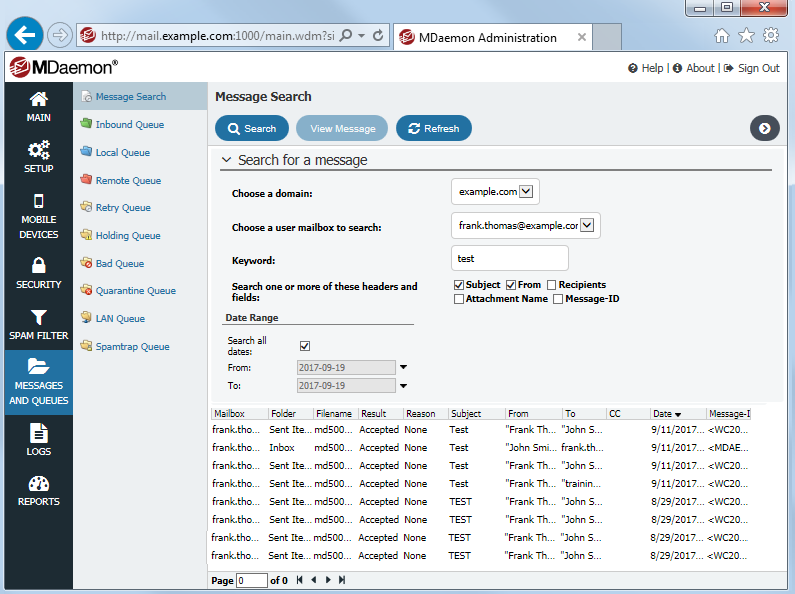 Outlook Connector includes the option “Download Headers Only” under the Send/Receive tab of the Outlook Connector Client configuration screen. When this option is enabled, Outlook only downloads the information needed to show messages in the message list, and not the full content of each message. When you click on a message, the rest of the message is downloaded for viewing. Users may experience a slight delay in viewing messages in the preview pane when “Download Headers Only” is enabled because Outlook has to download the rest of the message when it is selected. We recommend configuring the Send/Receive schedule to check for new mail every 3 minutes. 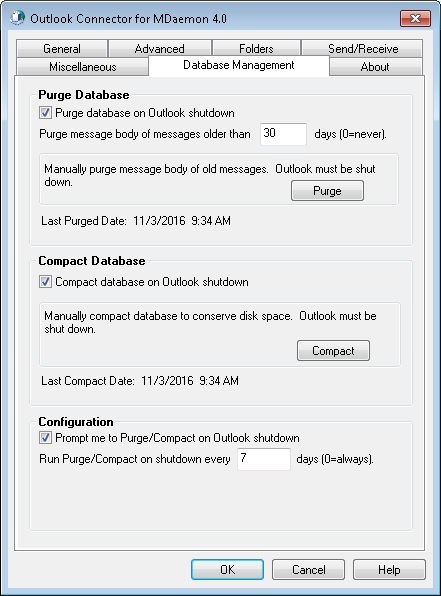 Following these guidelines will help ensure that Outlook Connector continues to run smoothly. For more information, please see our Outlook Connector how-to guides. As always, I’m available if you have questions!